It's an instant party when she's wearing the Stella McCartney Kids™ Embroidered Stars Tulle Dress. Relaxed fit, A-line silhouette with tulle overlay. Multicolored stars adorn the body. Cap, flutter sleeves made of tulle. 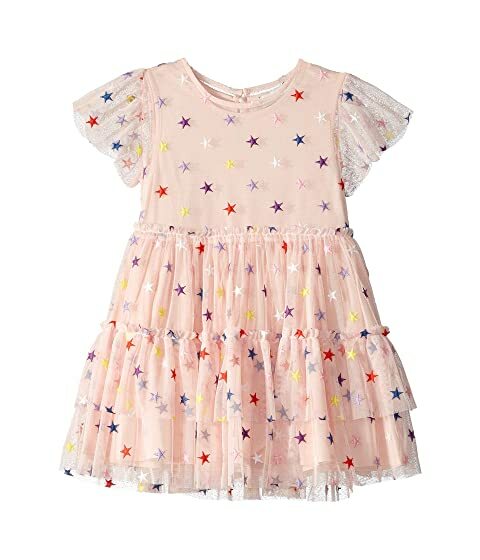 We can't currently find any similar items for the Embroidered Stars Tulle Dress (Toddler/Little Kids/Big Kids) by Stella McCartney Kids. Sorry!